Change the subject, shall we? History repeating. Against Santo André yesterday, Palmeiras created several chances but were unable to score, even with the opponent decimated for two thirds of the game. Valdivia and Kleber – both enough injured not to play but fit to enjoy their weekend – were of course missed on the pitch, but their absence cannot justify the poor result against a team that is penultimate in the tables, with seven points in eleven games. 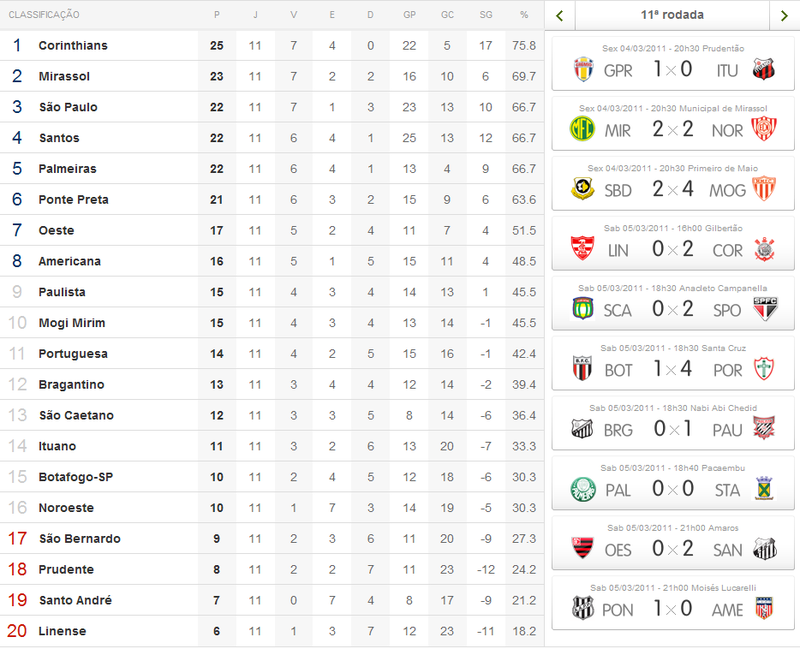 Palmeiras lost two points and slipped down to fifth place in the Paulistão (forget it, I’m not putting up any “highlights” today, but you can check out the tables clicking on the thumbnail to your right). In addition, Scolari openly showed his anger in relation to recent measures taken by the management to cut expenses by diminishing the number of staff; the latest shown the door was nutritionist Favano. As always, internal peace is unheard of at Palmeiras. So, let’s change the subject, shall we? Palmeiras is so much more than football, and now is an excellent opportunity to remember that! 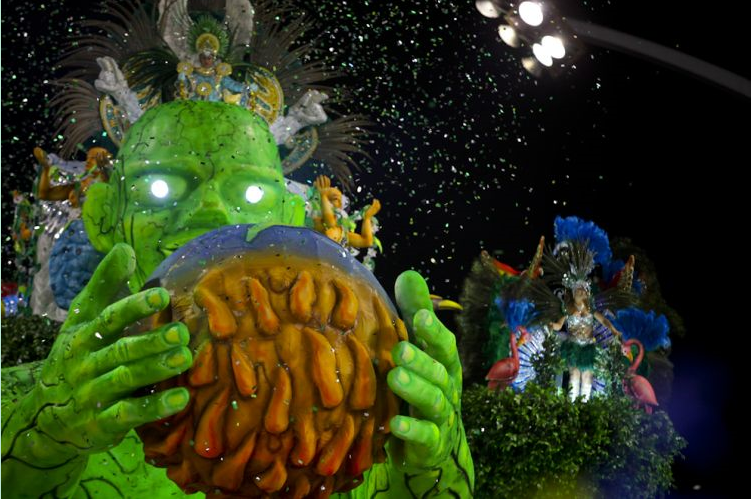 This weekend and an additional three days marks carnaval – the largest and most spectacular open space festivity in the world – taking place all over Brazil. In Rio de Janeiro and São Paulo, the traditional samba schools have supporters and stir up passions in the same way as football does. 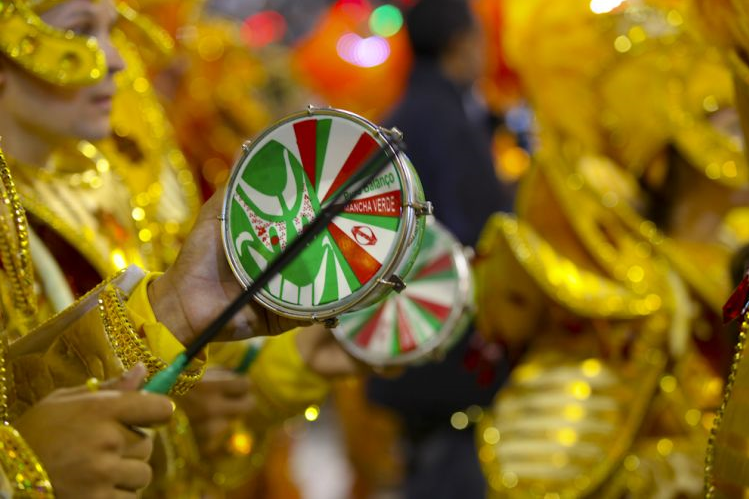 The link is in fact even stronger than that: some samba schools originate from football supporters – a perfect example being the Mancha Verde, created in 1995 and originating from Palmeiras’ largest supporter group with the same name. 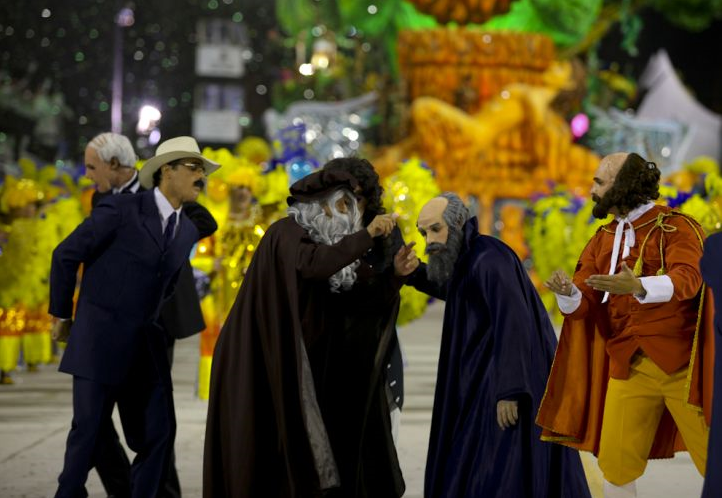 During carnaval, the samba schools compete – in accordance to strict rules – to crown a champion. Mancha Verde paraded on Friday (or actually, very early on Saturday morning) in an impressive display of luxury and joy. This year’s theme chosen by the school was “A Genius Idea”, telling the story of how brilliant ideas have pushed human development forward. The school came in 25 segments, with five cars and a total of 3.500 people in costumes – among them the muses Viviane Araújo and Juliana “Panicat” Salimeni. On Tuesday, we’ll learn the result as the judge’s votes are released. In the meantime, enjoy the pictures (all snapped by Fernando Donasci/UOL) and a clip of the highlights!